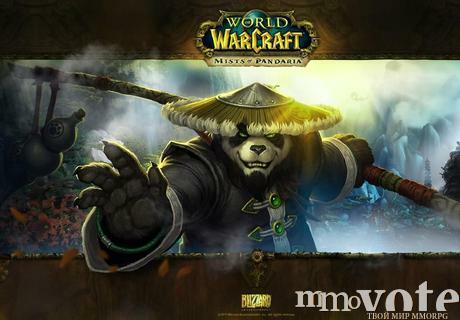 As we learned from presentations by Blizzard Entertainmen, finally, make the installation of the new patch 5.2 on the public test server World Of Warcraft Mists Of Pandaria. Now users will be able to continue to successfully develop a fascinating and puzzling series of tasks to get the legendary weapon. In this version of the update, by the way, players will find other, no less amusing, moments. What are these changes? Well, first of all, from now on the player, ending the conversation with Gnevinom, acquires the status of "Exalted." Users who want to get hold of this status logo reputation will make war on the Island Dwarf King against mobs. And on top of everything else, the player will have to stock up on an item 20, that is the legendary part, we obtain the passage of the raid "Tron Dwarfs." Gradually he opened Lighting Forge. And so on continuing line of quests, the player continues to travel further, it may also collect Titan Runestone metakamen and look fabulous. Well, let's hope that soon the official game servers still see the update. This is assuming that during testing do not exist or that the major flaws. Still there is no comment, why not leave it the first? To add a review, you must register and login. MMOVOTE.RU - portal which includes a rating and the announcement of the popular online game servers: World of Warcraft, Lineage 2 and Aion. - We do not sell the place and voice in our rating, as they are very difficult to cheat and we constantly monitor for this. - Payout % of SMS per server to administrators. - Instantly receive data through the vote callback script. - We are always ready to listen to your ideas, suggestions and implement them as soon as possible. All servers are added to our portal, from compulsory moderation. Our rating will help you find the perfect server for a variety of criteria, such as chronicles server rates the players score, feedback on the project and place in the ratings. In the ranking, and the announcement involves only active resources, closed or inactive resources will be removed monthly, cleaning after resetting the votes.